WWR Article Summary (tl;dr) Rooted in fact, "The Favourite" depicts a romantic triangle ruled by ambition. The benign flowering plant known as Queen Anne's Lace closely resembles hemlock, which brings us straight away to the pleasurably nasty triumph "The Favourite." In this film, vaguely ridiculous extravagance masks court intrigues of a spiky, lethal variety. The result is a splendid black comedy that marks a stylistic leap for its director. Second only, perhaps, to the upcoming "Roma," it's a reminder of how the movies can imagine a highly specific yet deeply idiosyncratic vision of the past. 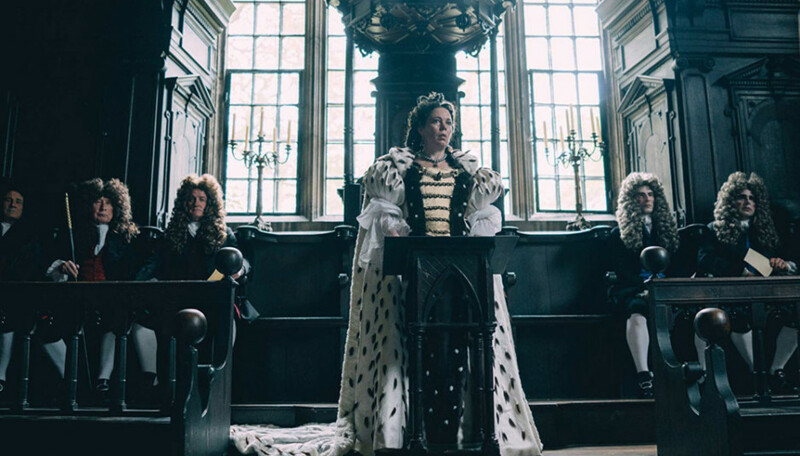 "The Favourite" would be worth seeing if only for the subtle varieties of cutting rejoinder it offers its central trio of performers: Emma Stone, Rachel Weisz and, as Queen Anne, early 18th century ruler of England, Ireland and Scotland, the heartbreakingly funny Olivia Colman. The director is Greek native Yorgos Lanthimos, whose taste for corrosive societal disintegration came to global attention with "Dogtooth" and "The Lobster," among others. Rooted in fact, "The Favourite" depicts a romantic triangle ruled by ambition. In 1705, Queen Anne's court wrestles with the question of how to finance a war with France. Lady Sarah (Weisz), the Duchess of Marlborough, uses her wits, her body and the queen's bed to coerce Anne into raising taxes on the citizenry in order to keep the off-screen battle going. This is good news for Sarah's warrior husband. Less good for Sarah: the unexpected arrival of her country cousin, Abigail (Stone), a noblewoman fallen on hard times. A dab hand with medicinal herbs, Abigail quickly rises above servant status to become the queen's new favorite. Game on! Emma Stone Emma Stone plays a servant who quickly rises above servant status to become the queen's new favorite. Abigail also stokes the ardor of the icy rake Lord Masham (Joe Alwyn). The men in "The Favourite," including an excellent Nicholas Hoult as the foppish Harley, exist as pawns in the ladies' game. Yet it's more than a game. The script by Deborah Davis and Tony McNamara percolates with icy wit, blithe obscenities and the occasional droll anachronism. But when the focus shifts to Anne's personal tragedies, the grief she can barely process, amid her own obscenely pampered and lonely existence, Colman gives "The Favourite" the glimmers of heart it needs. The movie looks and behaves differently from earlier works by Lanthimos, and some of the visual motifs already have proven controversial. With cinematographer Robbie Ryan, the director destabilizes our sense of period with brazen fish-eye lenses, wide, slightly warped compositions and sharply angled camera pivots, framing the actors in an attentive but peculiar way. In interviews Lanthimos has noted some reference points for his approach to "The Favourite," including Peter Greenaway's "The Draughtsman's Contract" and, in its psychosexual tensions, Ingmar Berman's "Cries and Whispers." He takes a cue from Restoration comedies as well, naughty artifacts of the age just prior to Queen Anne's reign. In "The Favourite" a diamond-hard tale of seduction such as "The Country Wife" finds a 21st century equivalent, albeit with rougher language and a refreshing lack of misogyny. The women in "The Favourite" are creatures of self-interest and ruthless practicality; to the film's benefit, and ours, nobody is a mere fool, not even the often foolish queen Colman brilliantly portrays.